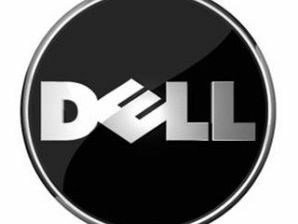 Dell is set to launch a new range of laptops with much-improved microphones for internet telephony use with VoIP services such as Skype and the soon-to-be-launched new version of Google Voice. Dell's new Latitude E-Family laptops launch in the US this week. The Dell E6410 has a 14-inch screen, the Dell E6510 has a 15-inch screen and the Dell E6410ATG is built All feature the latest Core i5 and Core i7 Intel CPUs. Notably, all the new laptops from Dell come with digital-array microphones, to capture your voice better for making VoIP calls. Dell's Senior Product Marketing Manager Patrick Burns highlighted that the new laptops also feature a button for instantly accessing your email or your company website before the machine has fully booted-up. The new range is squarely focused on the business user, with Dell clearly hoping that the upturn in the economy will see more companies upgrading their employees' laptops. International Data Corp. estimates that corporate laptop unit sales will grow 27 percent in the next three years.